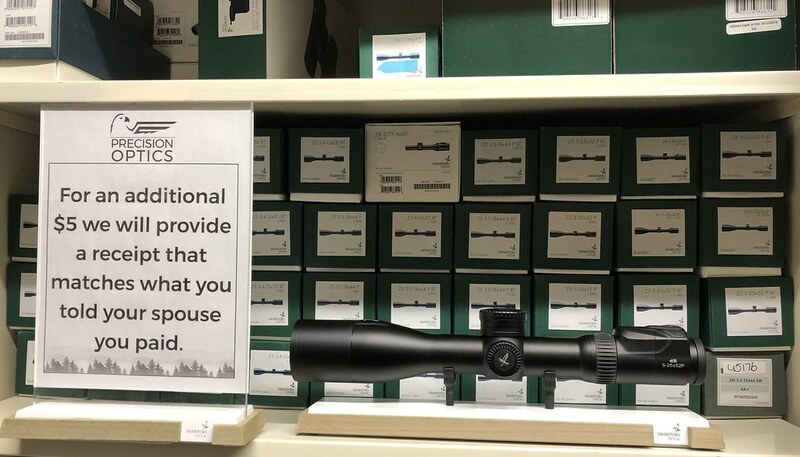 Thread: The Swarovski Optik dS Riflescope - 3 more in stock and a demo! Sorry children, you're not going to college. Thas a wee bit O cheatin there MacTaggart. The Swarovski DS has started to arrive!! The Swarovski DS Smart Riflescope has started to arrive!! They will be shipping in the order that pre-orders were taken. Due to the demand and short supply of these scopes, they will likely be on allocation until 2020 - the sooner you place your pre-order, the quicker you will get one. We have inventory of almost every Swarovski Optik product including replacement parts, and some special order only items. All in stock and ready to ship. Last edited by plainSight Solutions; 02-12-2019 at 02:16 PM. It's a hard pass for me. I have too much tech in my daily life, I don't want more in the field. I have to say I agree. I am currently building a 6.5 CM and I want to have to do math on a pad and paper. I’m not ready for smart scopes. Very interested. What does Swarovski say about durability behind big magnums like 338 Lapua and 50bmg? Hello. The dS has been available in Europe for over two years. It has been tested and used in the field with the 375 H&H, 338 Lapua and 300 Norma Magnum. I have not been able to chat with anyone who has used the dS with a 50 BMG.